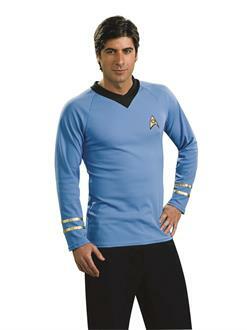 You'll look like you stepped off the Starship Enterprise when you wear the Star Trek Classic Adult Deluxe Blue Shirt. 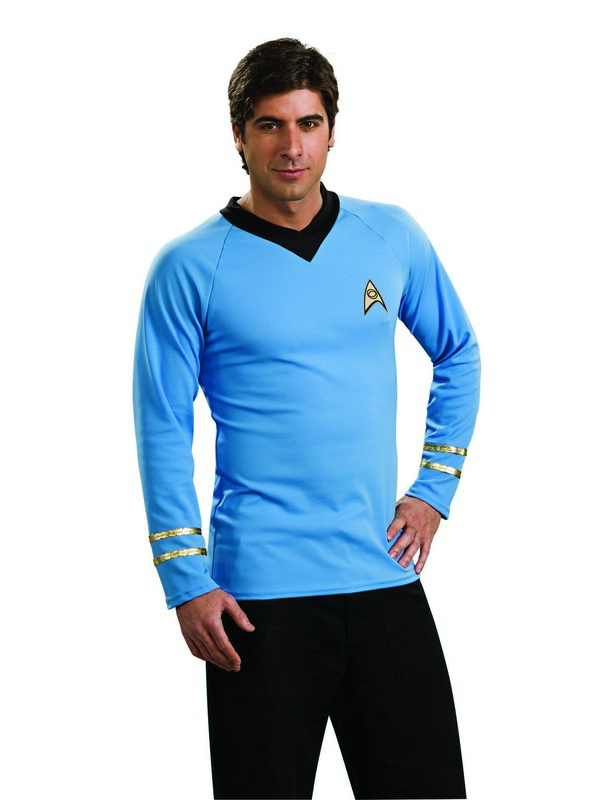 This costume includes a tight, flexible long sleeved light blue shirt with shiny gold stripes on the wrists, a black collar, and a replica communicator pin. Wear any black slacks to complete the look, and you'll be ready to impress Trekkies young and old at your next Halloween party.